Nearly every iPhone owner’s been there: you’re snapping pictures or getting ready to download a new game, and you get that dreaded message warning you that your storage is almost full. So much for watching that movie on the plane. If you feel like your storage is filling up faster than it used to, you may be on to something. An examination of the most-installed apps for iOS from mobile analysis firm Sensor Tower has found that the size of those apps is, on average, 11 times bigger than they were in 2013. And some apps have grown far more than that, said Randy Nelson, Sensor Tower’s head of mobile insights. Take Snapchat, for example, which now takes up 51 times more space than it did in May 2013. Facebook is the largest of the apps Nelson looked at, now clocking in at 388MB – up from just 32MB at the start of Nelson’s analysis period. Nelson said that there are multiple reasons for the upward creep in app size. 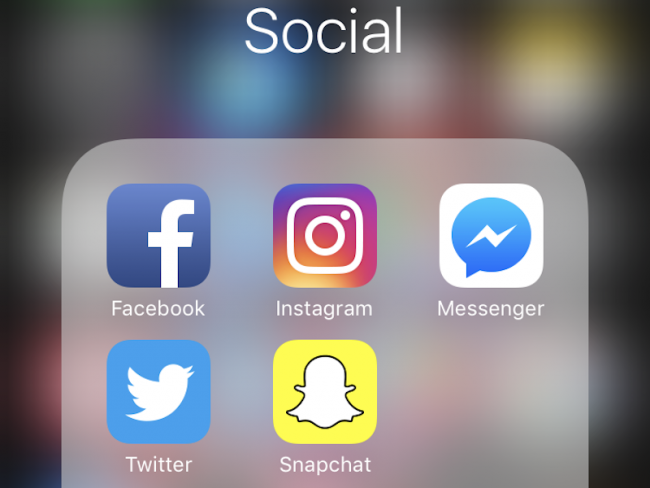 For one, apps – particularly social media apps – have been adding new features regularly, to keep up with each other. Snapchat is an excellent example of this, Nelson said. At first, the features of Snapchat were pretty streamlined with its close focus on ephemeral messages. But now it’s locked in a feature war with Instagram and Facebook, and has added things such as the Discover tab, or an ever-expanding array of filters. Games grow for a similar reason; new levels or features in Candy Crush take up extra space, as do prettier graphics that want to take full advantage of the iPhone’s screen technology. There are also some technical reasons that app size is ballooning, Nelson said. The iPhone and iPad have more screen sizes than they used to, for example, which means that developers often design their apps to adapt to all those different sizes. Supporting a broader range of devices automatically means an app’s size will go up, even though the person downloading the app only sees one version. As developers drop support for older devices, app sizes may go down again, Nelson said – but it may not be by very much. The upshot for consumers is that, yes, your phone’s storage isn’t going as far as it used to. And there’s not a clear solution for consumers about how to solve this issue. We can, of course, rely more on the mobile web or simply use fewer apps. But app creep is particularly hard to deal with, because it means that even if you aren’t downloading new apps, the old ones you have are still taking up progressively more space. Apple has announced some features that may be able to help with this problem down the line. In iOS 11, due out in the fall, there is a feature that lets you “offload” apps you use less often – deleting the apps themselves from your phone, but retaining enough data so that you don’t have to set them up again. Nelson has not run a similar analysis for Android, though growth causes such as additional features would logically apply there as well. With app sizes only poised to keep growing, Nelson said the problem is unlikely to go away any time soon. Mobile apps are generally becoming more complex and more graphically advanced, not less. So, if you keep running up against your storage limits, it may be a hint to think bigger for your next phone purchase.